This season, mom would surely adore these flower power slacks. I can see her matching it with her many tops—and purses. I would probably wear it similarly with a tee. Now if I can just find these turquoise shoes too, I’ll be good to go! 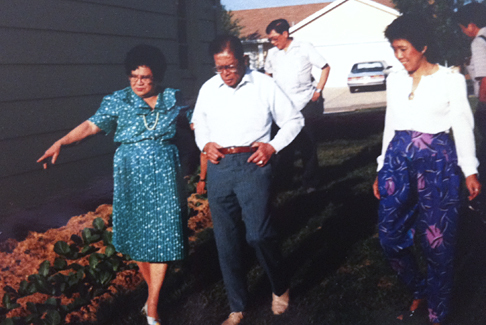 *Editorial note: I’m sure they are all enjoying my Uncle Naning’s garden in heaven as all—including my Uncle Naning—have passed on. I know they are watching over us always. Rest in peace, my family.